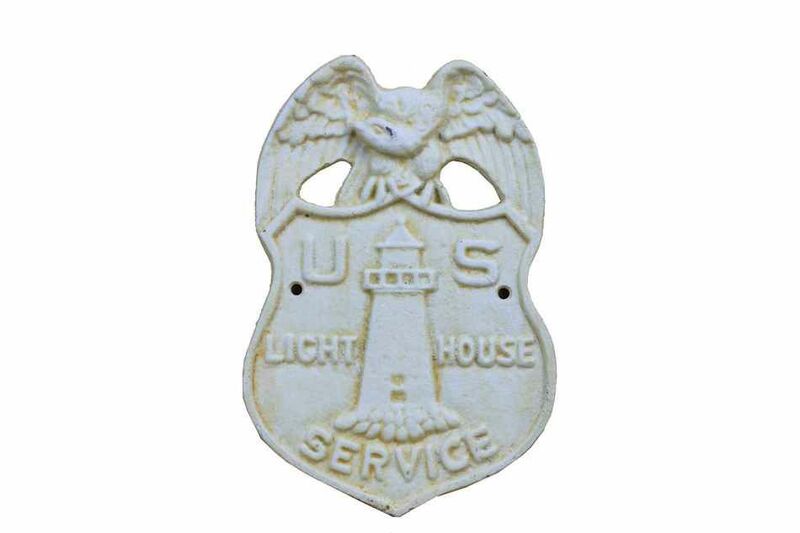 Ideal for posting in a room featuring a beach décor theme, this Antique White Cast Iron US Lighthouse Service Sign 9" is a great vintage representation of the organization started in 1910. Also known as the bureau of lighthouses, this was the agency of the US Federal Government and the General Lighthouse Authority. Ideal for any nautical themed home or beach themed homes, this vintage sign will be a perfect nautical gift, or show your affinity for the nautical sea faring lifestyle.